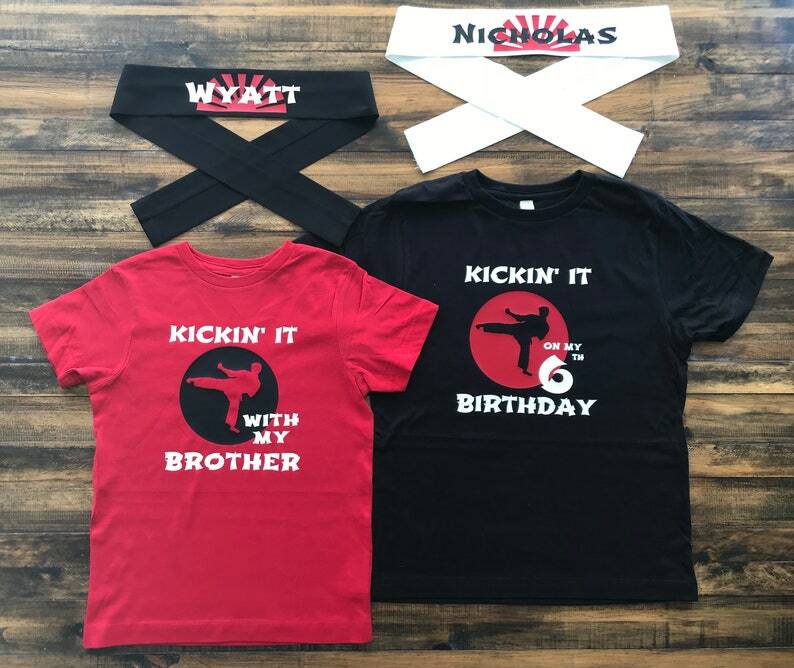 Karate Brothers Ninja Birthday Shirts and Ninja Headbands. 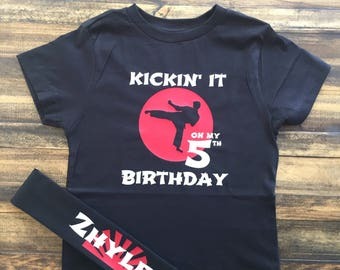 Personalized Kid's Karate Birthday Outfit with Shirt and Ninja Headband! Custom made and Professional Quality. 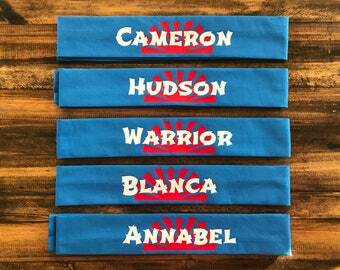 Martial Arts Headband and Karate T-Shirt for kids. 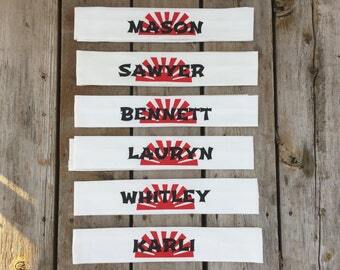 This listing includes 2 of the T-Shirts and 2 of the Personalized Ninja Headbands. 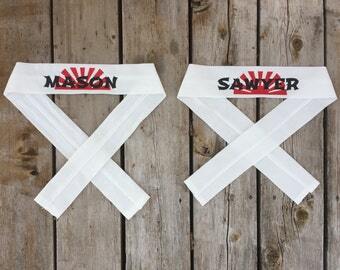 These Custom Ninja T-Shirts and Headband Sets, make a perfect birthday gift. Bring out the imaginative play in your child with this custom made outfit, personalized with your child's name and age. 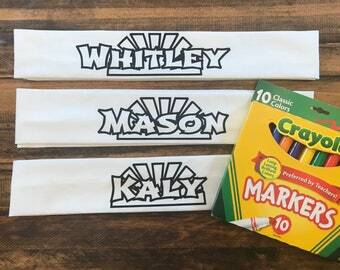 ***In the Notes to Seller box, please write the colors and both Names you'd like on your Custom Headbands, and the Age of the Birthday Child for the Shirt. *** You can also choose to have "Sister" or "Friends" or "Brother" whichever you'd prefer on the additional t-shirt. See example below. But feel free to customize! 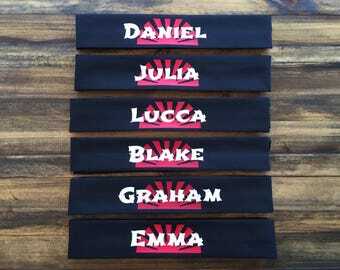 If you want the exact style as shown, just write your names and age choice in the Notes and I will make your set exactly as the example photo is shown. If you have a custom color request, please send me a convo to discuss your idea!